Nobel Prize Winners – Our art project on some of the leading Nobel recipients. We have been learning about the many Nobel Prize Winners and their contribution to education, literature and peace. We looked at five specific Nobel recipients particularly some Irish recipients and examined their role on the Worlds stage. We used lots of tools in making this presentation come to life and Sean, (our fifth year student) compiled images and information to make this delightful presentation work. cultivate his skills by working on this Nobel project. Sean will need photoshop as he does metal work and woodwork projects in school and he often needs to visually present his work. 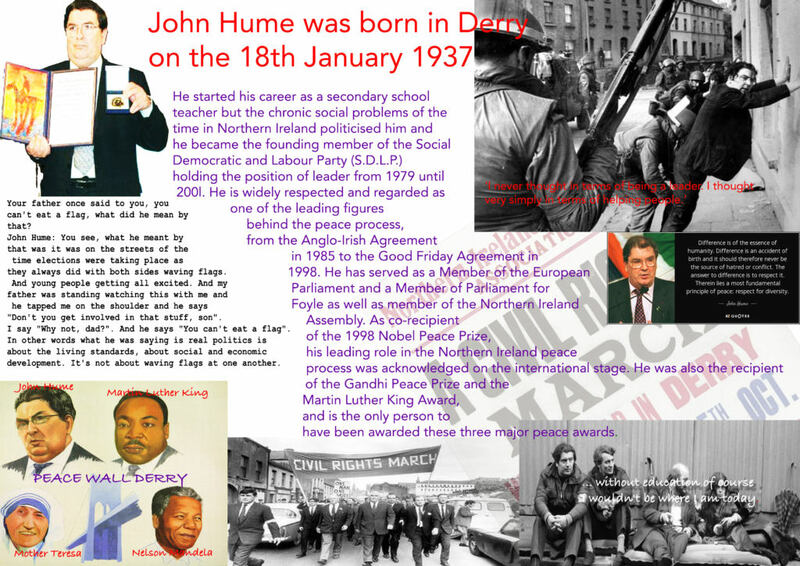 Civil rights activist and chief Architect of the peace process in Northern Ireland. Both Seamus Heaney and John Hume attended the now famous ‘St Columb’s’ school in Derry. Born into poverty and a gerrymandered voting system that practically divested their community of property ownership, the boys who went to St. Columb’s received a church Latin education under a British school educational system. 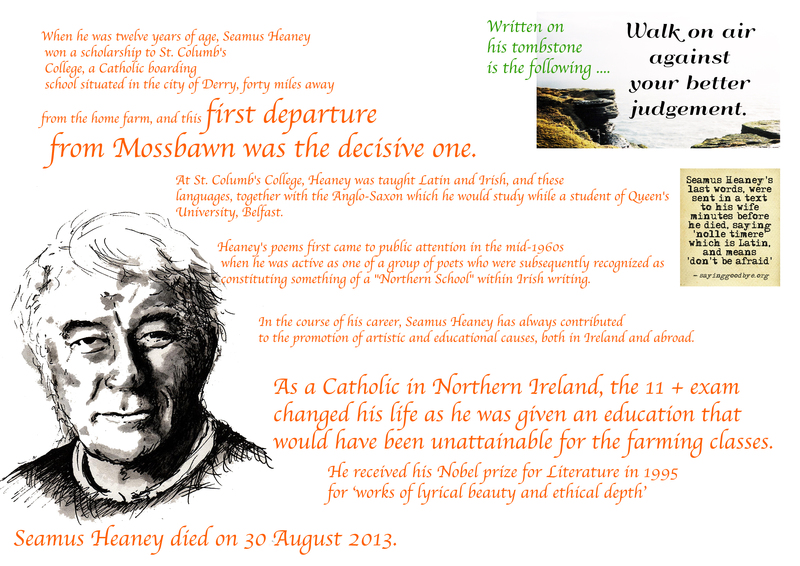 Education was seen as the key to breaking out of poverty and changing the political landscape of Northern Ireland. Malala has always striven for equal opportunities for girls around the world. She works tirelessly on Education for all girls even donating her Nobel money to her beloved home in Swat Pakistan. 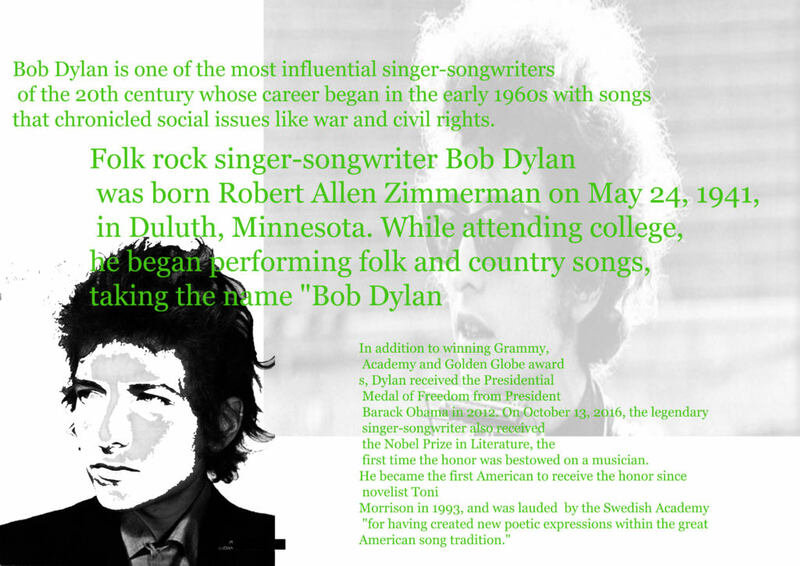 Bob Dylan received his Nobel prize for Literature in 2016 for his contribution to poetry and the arts. His Anti-war stance and concern for civil rights have made up the body of his work over the years. Bob Dylan has given credit to the Clancy brothers for much of his inspiration. 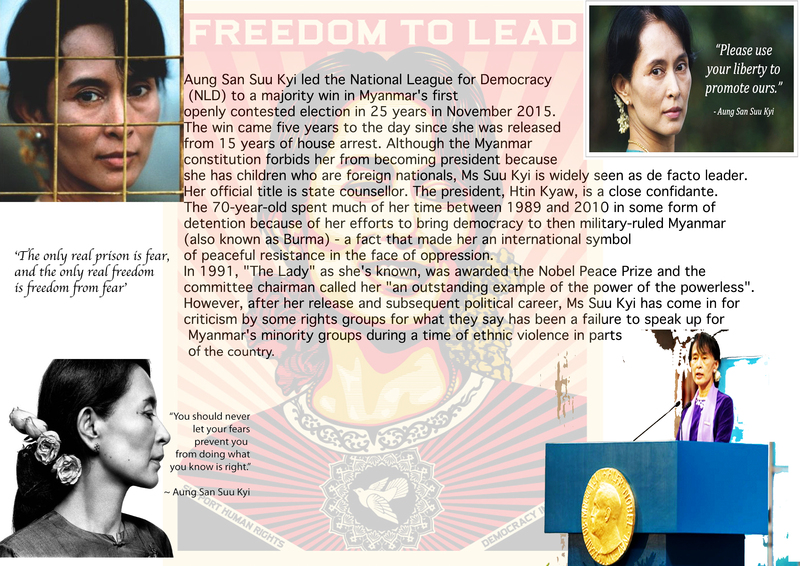 Aung San Suu Kyi is state counsellor of Myanmar and winner of the 1991 Nobel Prize for Peace after having spent many years under house arrest in Burma. 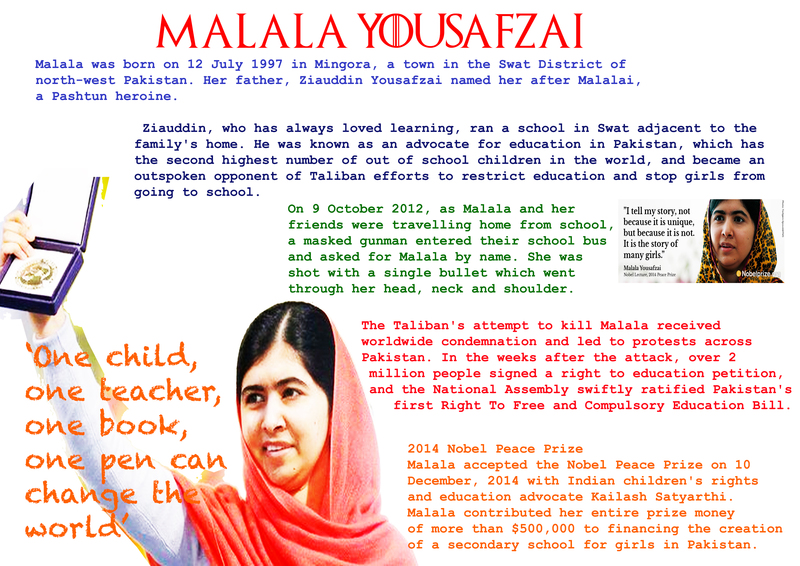 She like Malala Yousafzai and many others we have studied strives for equality in her Country.